This geometric print is a fun play on the traditional chevron. It's an aqua blue zigzag pattern, contrasted sharply with a white outline. The bold orange ribbon commands attention to the decorative label- the perfect place for your monogram. 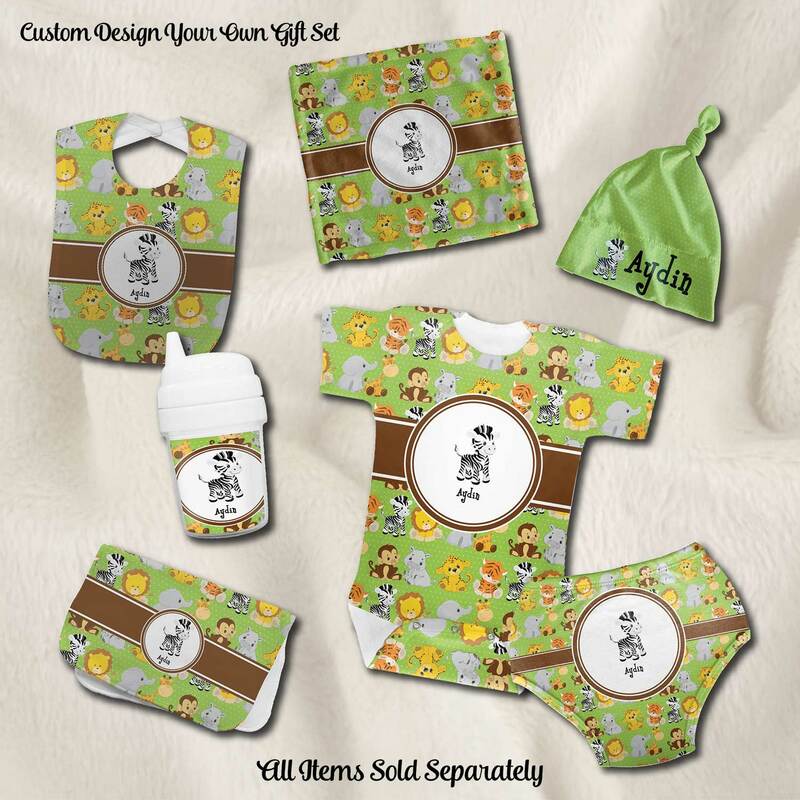 Burp your baby in style with our personalized burp pads. Whether they are for your baby or are a gift, they are sure to garner oohs and ahhs!! 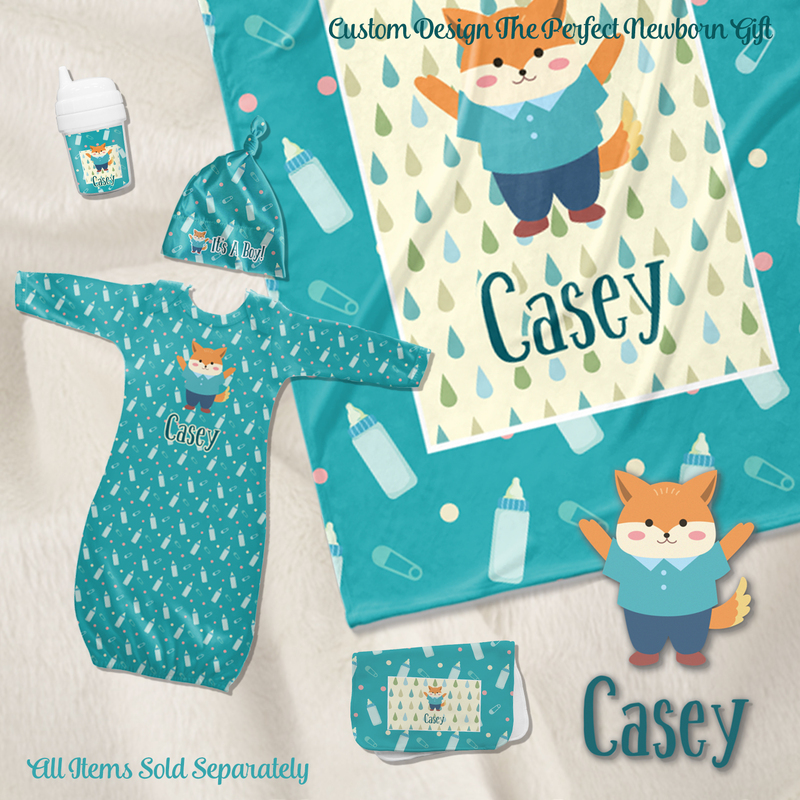 The fun designs and personalization options make them perfect keepsakes too. The pads are super soft fleece for baby's skin, lightweight and easy to fit in a diaper bag, and absorbent enough for spit ups and spills. 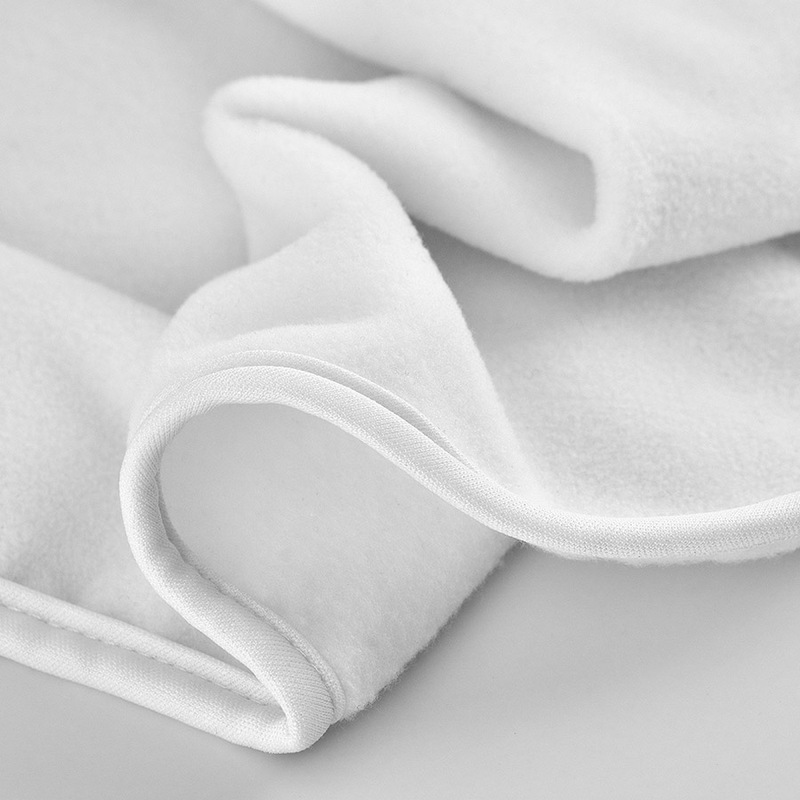 Use as a burp pad, lap pad, on the changing table, or just to clean up messes. Our personalized burp pads are functional AND cute!! If you are looking for even more ways to pamper baby in style check out our super soft personalized baby blankets.